Last week Public Policy Forum and the Canadian Centre for Ethics in Sport held their summit on “The Values Proposition: Strengthening Sport in Canada”. #ValuesinSport. It is an important topic right now in the sports community as there is an overall trend in the registration of Canadian youth in sports, and reports in the media of sexual harassment still being an issue in the sporting community. We all know the benefits of sport and put our kids in sports for a variety of reasons. In a nut shell, sport contributes to the overall well-being of humans. Whether it is from a physical, social or emotional perspective. However, as we move into a values driven culture, we need to come into this with two eyes open. As with anything, there are always two sides. We need to see our weaknesses to understand our strengths. If we didn’t have night, we wouldn’t value the day (and visa versa). If we didn’t experience the feel of hot water, we wouldn’t fully understand the feel of cold water. You need to have a polar force to understand what it is and what it isn’t. So what does any of this have to do with fairness as a value in sport. Everything, as there are two sides to the fairness value as well. We need to understand what fairness is, and what it isn’t. And be conscious of how “fairness” can show up at various levels of sport. What is fairness at house league, vs fairness at the Olympic level? Let’s take for example, Beckie Scott @beckiescott4 a former cross-country ski Olympian for Canada and a gold medal winner in the Sault Lake City winter Olympics in 2002. For those of you who don’t know her story, she originally won the bronze medal. Defeated by 2 Russian Olympians who were subsequently disqualified, and their medals revoked because of their use of steroids. Beckie has become a champion of the fairness value, and an advocate of anti doping. Her message at the summit meeting was a powerful one with respect to fairness in sport at this level. She educated the room on why Olympic Athletes don’t always speak up because of fear of retribution and consequences such as the pressure to win, and loss of sponsorship. In this environment, the value of fairness is critical to shift the culture that allows athletes to compete on the merits of their training, talent and determination. So, what is the shadow side of fairness. When it comes to having values drive the sport community, we need to ensure we are flexible in the interpretation without losing the essence behind what change we are trying to affect. When we look at sport from top to bottom, from the Olympic level down to a 5-year-old starting their sport for the first time, fairness shows up differently. Let’s take a team sport like hockey for example. Think about how fairness may work against the sport. Sure 5 year old kids are not embarking on a journey of steroid use to get the NHL. However, there are stop watches in the stands of eager dads, with great intentions of wanting the best for their athlete, clocking the ice time that their child is getting. Unfortunately, this is not an uncommon occurrence in team-based sports. The value of Fairness becomes a cause of disruption, tension, arguments, and the list goes on. Am I saying that “fairness” should not be a value in the sports community? Absolutely not. What I am saying, is that there needs to be clear definition of what is meant by fairness, and an understanding of the behaviours of what fairness looks like and sounds like in observable behaviours. 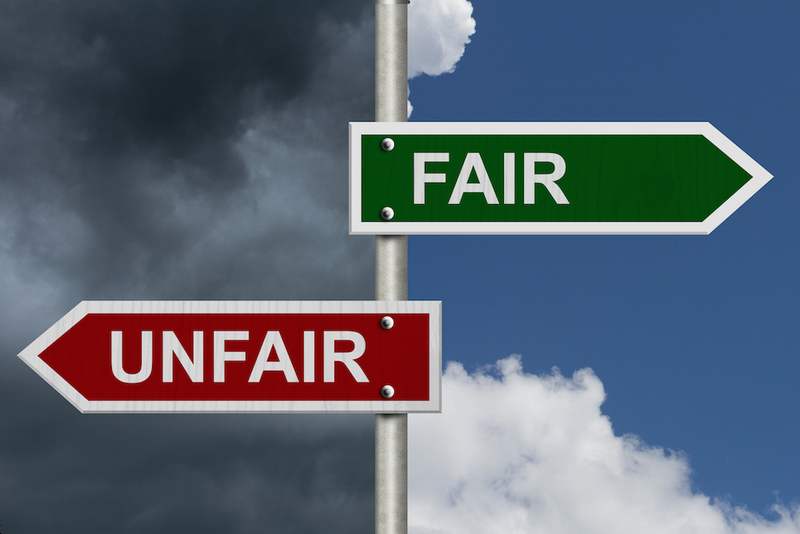 What fairness is, and what it is NOT.